How does an operator go about cleaning parts of production equipment not exposed to the CIP process, such as pipes, fittings, gaskets, tank vents, grinders, and product handling utensils? The answer... a clean-out-of-place (COP) system. COP is essentially the systematic, manual cleaning and sanitizing of production equipment that must be disassembled. Cleaning underneath and around gaskets, o-rings, small pipes, and other small surface cavities is critical because this is where harmful residue and bacteria accumulate. Here are 4 tips to consider when implementing a COP system into your process to get the most bang for your buck. “Sanitation is a sequence of steps that build from the successful completion of the previous steps” (Food Safety Magazine, 2005). COP practices usually involve multiple people cleaning small parts in the same work space. 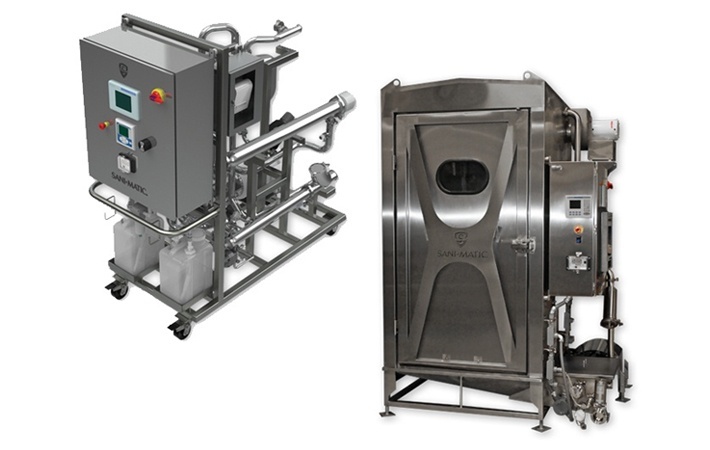 Because every part goes through a sanitation sequence, the level of cross-contamination risk increases when personnel are not working on the same sanitation step at the same time. For example, if someone is working on a final rinse, while another is doing a pre-rinse in the same area, overspray from the un-sanitized surface to the sanitary one may occur. 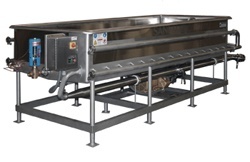 Baskets and tote washers are advantageous because they’re loaded onto the system and passed through the unit to be rinsed, washed, and rinsed again – eliminating the need for an individual to clean out every tote or basket. It’s also important to note that tote washers are designed to filter debris and reuse water, which cuts down on water and chemical usage. Parts can be cleaned all at once, rather than individually, ultimately saving time. No chance of contamination because the tank is usually constructed of stainless steel, has smooth welds, and no dead spots where contaminates can grow. Hot water can be added to the tank after dry cleaning soil off of the parts. Turbulence is created in the tank by steam or a mechanical action once the cleaning chemical is added to help loosen dirt and soil off the parts. Since there’s a manual component for washing parts, it’s important to have the right tools available. Make sure brushes are made of rugged, non-absorbent material that do not hold solids and dry quickly. Keep in mind that any tools used in the cleaning and sanitation process should be cleaned and sanitized themselves to avoid any chance of contamination. As mentioned in last week’s post about CIP systems, be sure to work with a qualified CIP/COP engineer to ensure you’re implementing the right system into your process. You can read more about CIP and COP systems on our blog, CIP And COP: The Simple Definitions. If you're a business in Wisconsin or upper Michigan and need help with specifying a new CIP or COP system, or simply need help troubleshooting a current system, contact us today!